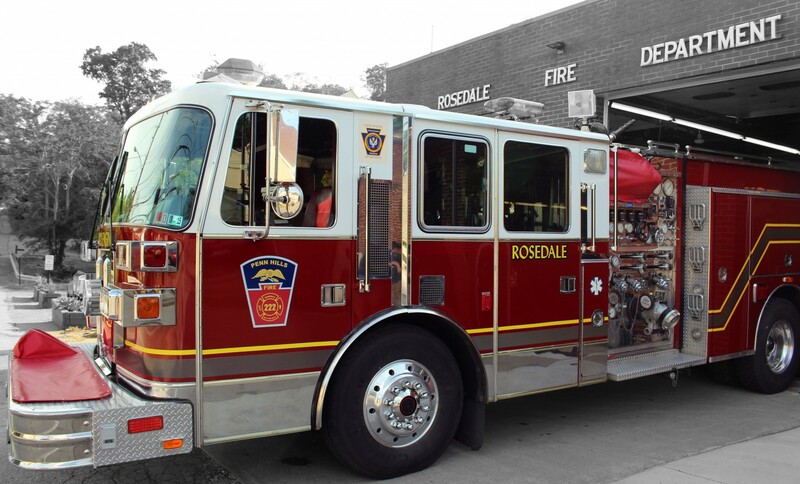 In 2010, Rosedale FD took on a new response service to our community by becoming a licensed Quick Response Service (QRS) under the PA Department of Health and EMSI. Currently 3 of 7 PHFD Companies respond throughout the township to medical calls, with a medical care provider of First Responder or higher (EMT-Basic or EMT-Paramedic). QRS units are alerted to respond to any call in which Penn Hills EMS is unavailable to respond to, due to being committed to other calls, or to respond to assist PHEMS, per request. Taking on this service has required more training and more volunteers. RFD covers training costs for volunteers interested in this discipline, and with call volume rising, we need medical volunteers now more than ever. Since the inception of the QRS service, Rosedale has constructed a bunk room available for overnight staffing to enable quicker responses. Medical volunteers are not only needed for QRS-only calls, but can be utilized for patient care on vehicle crash scenes, as medical support on fire incidents, etc. If you’re interested in becoming a medical volunteer, call 412-798-0412.